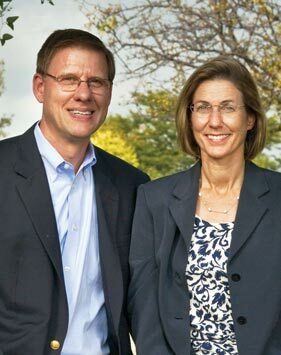 Connections provides information about community initiatives, new programs and nonprofit organizations that recently received a discretionary grant from The Dayton Foundation. Included in this edition are recently awarded Greenlight Grants, which are small grants awarded to local nonprofits in need of quick funding to help their projects come to fruition. All of these organizations have been researched by our Grants Department, and a summary of their grant proposals is included. As you may see, for many of these requests, we were able to fund only to a certain level. The organizations may still have needs associated with their specified programs. If you would like additional information about these programs, please feel free to contact the charities directly. 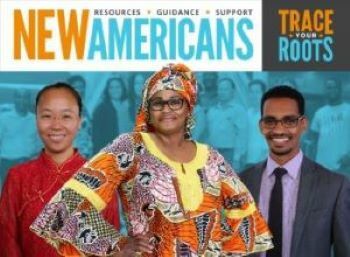 Funds will be used to help the Dayton Metro Library (DML) develop a traveling exhibit to feature aspects of the New Americans experience, a community-building collection of services/resources provided by DML and partner organizations to support non-native born residents. The project will blend informative and educational elements with interactive activities that will help visitors relate to the challenges of adjusting to life in America. The exhibit will be unveiled at the grand opening of the Southeast Branch Library and rotate among other DML branches in hopes to reach a broad audience. Funds will be used to aid Canterbury Court Retirement Community in purchasing materials to enhance and improve its garden plots. Eight garden beds will house flowers and plants to beautify the community’s landscaping. A vegetable garden in the ninth plot will yield healthy food for residents unable to afford fresh produce. Volunteers and residents will carry out the project, which will foster meaningful human interactions and impact residents’ well-being by promoting healthy lifestyles, as well as bring about collaboration with nearby organizations whose volunteers will work side-by-side with residents to tend the plots throughout the season. Five Oaks Neighborhood Association, in collaboration with the University of Dayton’s Dayton Civic Scholars, has created an effort to improve the Five Oaks Park. The project will implement Little Libraries, a new soccer goal, a mural and a park pathway. The Dayton Foundation’s grant and other funds will support the creation of a park pathway to connect the exercise equipment, make the park more accessible and create more foot traffic in an effort to encourage neighborhood residents to utilize the park more frequently. Good Neighbor House (GNH) serves more than 4,000 uninsured and underserved patients at its dental clinic each year. Dental assistants move quickly to not delay patients and dentists, and they need easier and more efficient access to supplies. Funds will be used to assist GNH in improving efficiency and the client experience in their dental department by purchasing shelving and a sterilizer for dental instruments. The purchase of new shelving would house all of the supplies in a clearly labeled and easier to access area. In addition, a new Autoclave will sterilize dental equipment in less than half the time of the current machine. 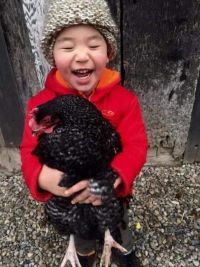 Learning Tree Farm’s mission is to provide hands-on education for all in a traditional farm environment. Funds will be used to move and securely install three large water collection tanks, install and repair gutter systems to accommodate the new tank configuration, install drainage tile and provide permanent signage to educate visitors about water conservation and management. These enhancements will provide drier conditions for farm animals and allow them to interact with visitors more frequently, as well as give visitors opportunities to learn about the water cycle, water conservation and the role of water in agriculture. Wright “B” Flyer, Inc., celebrates Dayton as the birthplace, home and future of aviation through its museum, aircraft displays and flyable aircraft. 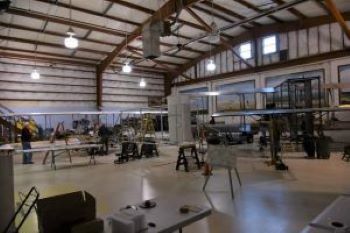 Funds will be used to help replace the 30-year-old mercury hydride and florescent lighting throughout the hangar, shop areas, museum and mezzanine. This will bring the facility up to the national OSHA standards, provide a safer work and visitor environment, significantly lower annual costs and enable a more flexible use of the facility for community events. To make an immediate grant from your Dayton Foundation fund or Charitable Checking Account℠, click here to access Donor Express, the Foundation’s secure, password-protected online service. If you don't have a Charitable Checking Account (CCA) but would like to learn more about this service, click here. You also can sign up online for a CCA by clicking here.